Our unique wedding and evening dresses are handcrafted from high quality natural materials. 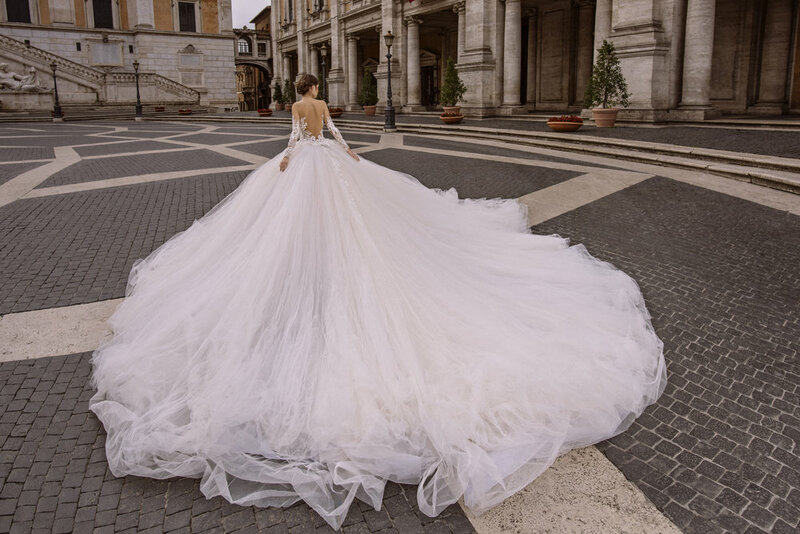 * Julia Kontogruni dresses are known for their stunning and detailed trains, so they require more space in the store than is typically available for standard bridal gown appointments and will require assistance from two bridal stylists. Booking an appointment to try on Julia Kontogruni dresses requires a non-refundable $200 service charge. Julia Kontogruni dress appointments are available Tuesday-Friday, based on availability. Appointments on Saturday and Sunday require a VIP appointment, and are subject to additional VIP package prices. Please click HERE for more information about the VIP appointment.